gear every month, including a T-shirt! 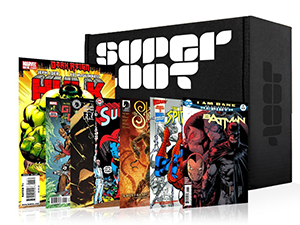 The Perfect Geek Box, Why Choose a Super Loot Crate? 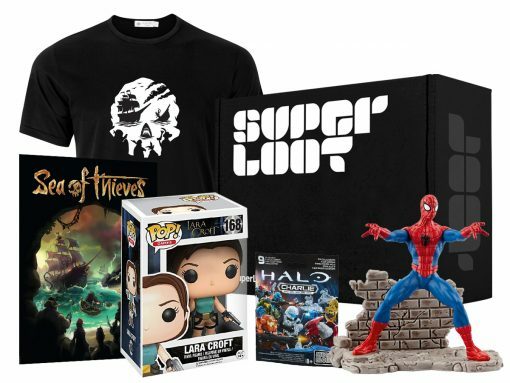 Super Loot monthly subscription geek boxes are aimed at anyone who loves and lives the geeky life. Each box is a mystery, but you can be sure of finding the latest gear from both established and emerging companies in your package. Every Super Loot crate is carefully curated and assembled by us, our team cherry pick the kind of tie-ins and hard to source products you want to unbox. They know you’ll love them because they do too! We’ll always provide our customers with handpicked goodies, featuring the best in gaming, sci-fi, movies and comic exclusives, and deliver them straight to their door. Once your loot crate arrives, why not share your epic unboxing experience with other members of our community? 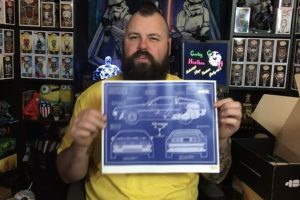 If it’s Twitter, Facebook, YouTube or Instagram, we encourage our subscribers to divulge all the details of their Super Loot Crate with our growing clan of online looters. As an added incentive, every month we’ll go through your messages and select the five most awesome posts, the lucky winners will all receive a nerd-approved extra gift totally free in their next package. Who doesn’t love receiving a mystery package crammed full of geeky treats once in a while? Whether your passion is Princess Leia or the Predator, our monthly subscription boxes deliver an epic hit of merchandise to feed your collectibles addiction. 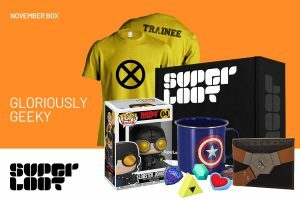 Our team of gadget lovers and gaming freaks sift through the best products on offer before introducing them to our customers in every Super Loot crate. 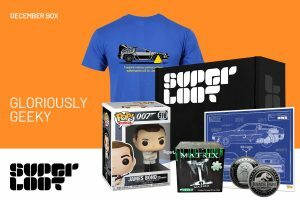 Super Loot gives you the choice of five different geek subscription boxes, so browse through the options for a package to suit your personality and budget. If you don’t want a long term commitment, try the one month Mystery Box Subscription and see if it works for you before taking the plunge. The three month Mystery Box Subscription costs less over all and the six month subscription is even more cost effective. 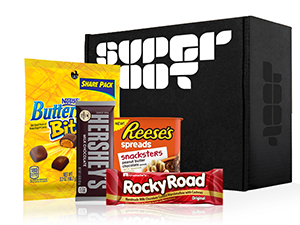 All of our geek subscription boxes are crammed with exclusives that span a number of genres, but for comic fans and gamers with a sweet tooth, we have two highly sought after monthly subscription boxes; the Comic box and the Sweets/Candy box. Sign up today and get your first box for just £19.99 and FREE shipping! Sign up today and get your loot for just £19.99 and FREE shipping! Earn Money From Super Loot!